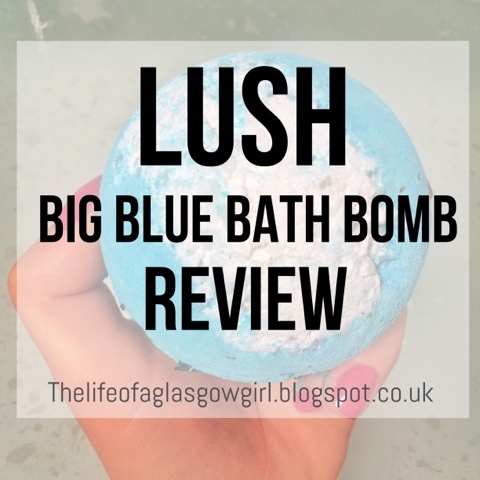 Today's review is on the Big Blue Bath Bomb by Lush. 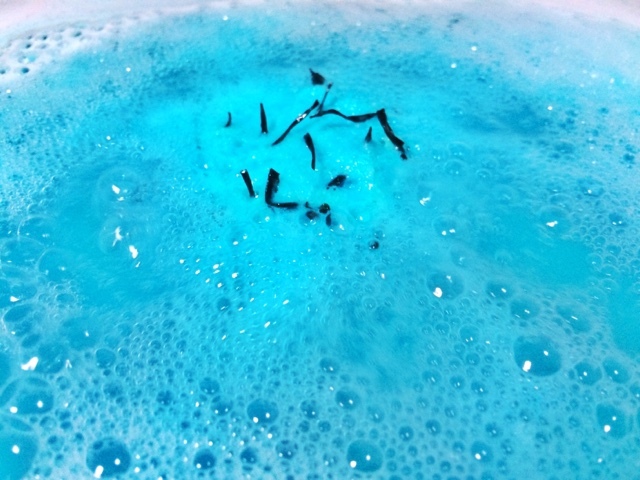 Big Blue has always been one of my favourite bath bombs from lush. It looks great, it smells great and it leaves you with amazing mermaid water. I can't fault this bath bomb one bit. Ever since I seen this bath bomb sitting on display in Lush sauchiehall street, I have been a fan. The bright blue colour with the white on top and the arame seaweed sticking out of it completely stole my attention and I have been buying it ever since. I can always count on this bath bomb to make me feel relaxed and stress free. The smell of this bath bomb is very fresh indeed, it reminds me of the sea for sure and Lush have defiantly got this one on top form. 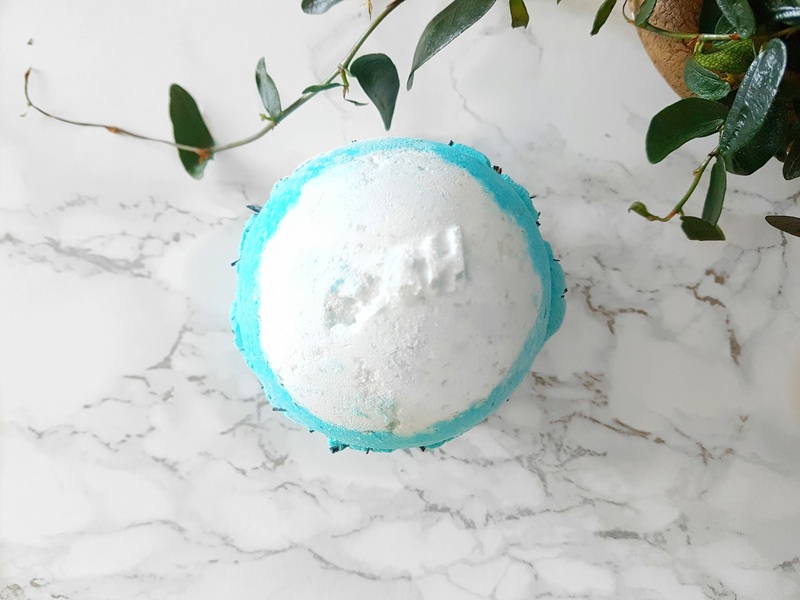 With ingredients such as sea salt, lavender oil, lemon and arame seaweed it's no wonder to get the call of the ocean from this bath bomb. It's very refreshing for your sense of smell and it lingers there for a good while. 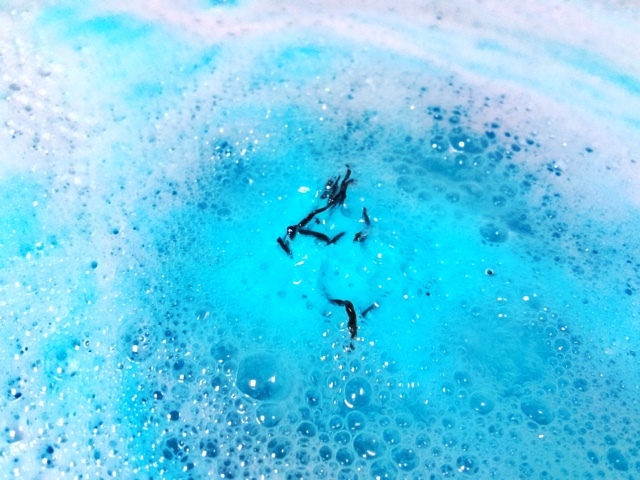 When putting this bath bomb into the water it floats around the surface, fizzing away crating beautiful coloured water and softening as it goes. I couldn't keep my eyes off the bath bomb at all, I completely and utterly fell in love with the way it slowly moves around the water, the seaweed coming out and softening in the hot water and the scent of the ocean taking me to a very neutral happy place. As you can see the bath bomb is such a beautiful colour, it defiantly sticks in your brain and will leave you wanting more. This bath bomb lasted for a good amount of time which I like because I'm not a fan of those bath bombs that fizz away so fast that you can't enjoy the experience. This bath bomb claims to regulate your metabolism and help you relax and I would definitely say that it does what it's supposed to. After using this bath bomb the scent defiantly stayed around for a while and my skin felt super smooth. I always love that lush bath bombs leave your skin feeling soft and cleansed, it's one of the reasons I keep going back to them and buying their bath bombs. The arame seaweed is defiantly a nice touch and sets big blue on a bother level for bath time. If I ever need a little pick me up that includes the call of the sea, I'll be sure to use Big Blue. I couldn't have asked for a better result from this bath bomb at all. 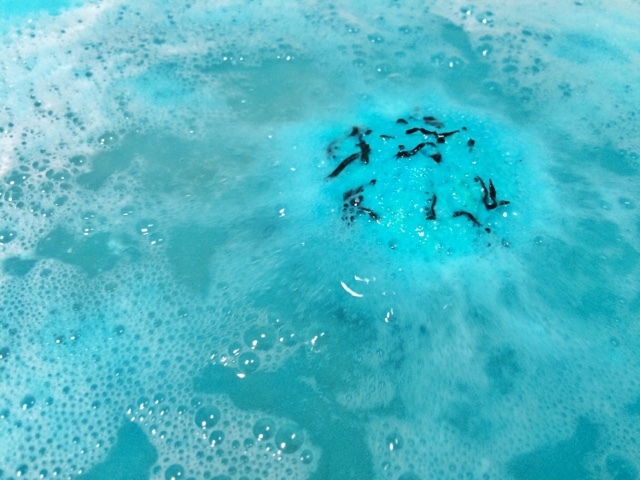 The picture below shows what the Arame seaweed looks like, this does not dissolve in the bath and you do need to clean it out but I didn't find it that much of a hassle since 95% of it went down the drain no problem, so Iwouldn't say that it brings any points off of the bath bomb at all. 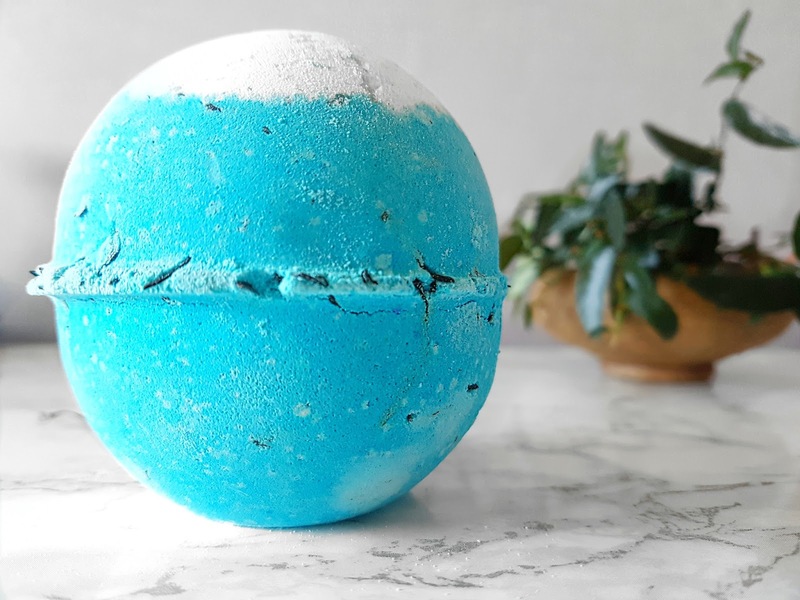 For the price this is a winner for me, it's also a pretty big bath bomb and you could probably get away with halving it but I tend to use the whole thing which it comes to bath bombs. I hope you get the chance to try out this bath bomb because you will not be disappointed. So what do Lush say about it? 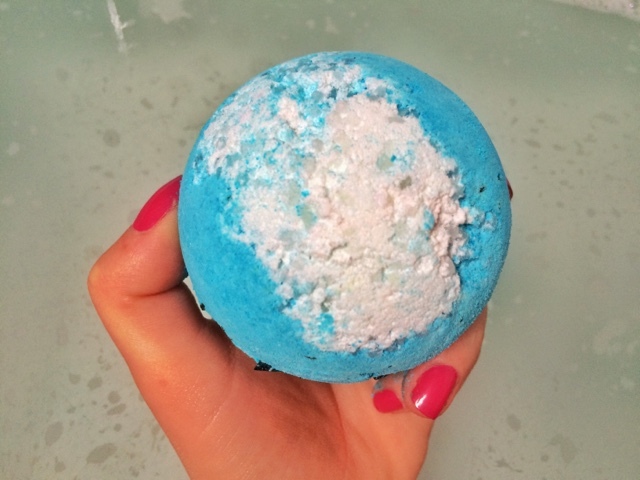 "This calming bath bomb evokes a summer’s day at the seaside: perfect for drifting off. 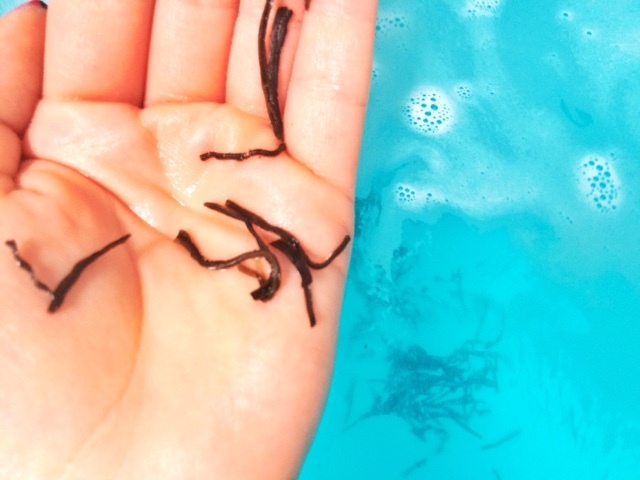 Big Blue’s key ingredient is a type of kelp called arame seaweed, which softens in your hot bath water. Arame is rich in vitamins and minerals including iodine, which helps to regulate the metabolism. Sea salt softens the skin, helping to remove dead skin cells, while lemon oil clears the mind and, like lavender oil, is antiseptic and cleansing." This sounds so luxurious. I'm glad you left a link to buy one. I'm going to see if we can order from the US. It sounds amazing. I make a lot of my own bath bombs too and never thought to add seaweed to them. This is going to be new on my to-do list. Thanks for the review and the pictures. I will be purchasing one of my own just because I was jealous while reading this. That's the link to Big Blue. I actually haven't tried this one but after reading this and seeing what ingrediants are in i think i will be giving it a try! This bath bomb looks fantastic. I bet the smell was lovely. I love Lush it is one of my favourite places to shop at and the Big Blue smells so good too. Its a great bath bomb. I wouldn't like the bits in the bath but otherwise this sounds quite nice. I have a confession to make, I have never tried a lush bath bomb before. I know I am regretting it already, a friend got me one recently but I only have a shower and no tub so need to wait until I visit my parents to use it.